Finally the day came when packing was completed and it was time to say goodbye to our NTM support team . The Rosviks on the left and the Whitneys on the right of the picture. 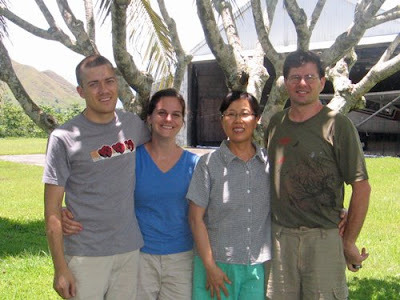 These two couples have taken very good care of us and enabled us to stay in the village. We really appreciate them and all they are doing to keep the works on N. Luzon going. They are called on to do all kinds of things and we appreciate their willing attitudes. Thanks Team! 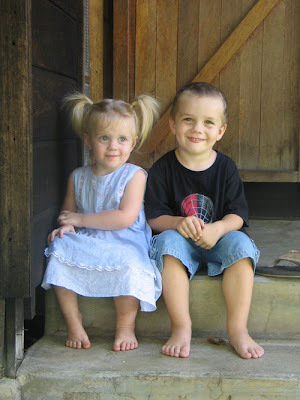 Below are the Rosvik's children, Emma and Levi. We really enjoy these little ones. They are a treat to have around. We will miss them.